Here is a GALLERY featuring images from the 2016 Amazon Prime limited series, "THE COLLECTION". Created by Oliver Goldstick, the series starred Richard Coyle and Tom Riley. Here is a LIST of my favorite episodes from Season Two of the WGN series, "MANHATTAN". 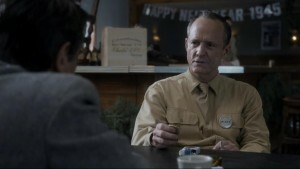 Created by Sam Shaw, the series starred John Benjamin Hickey. Here is a LIST of my favorite television productions set in the 1940s. 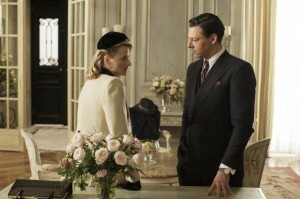 Here is a GALLERY featuring images from Season Two of the WGN series, "MANHATTAN". Created by Sam Shaw, the series starred John Benjamin Hickey. People: Amaia Salamanca, Ava Gardner, Billie Holiday, Brittany Murphy, Dean Martin, Frank Sinatra, Javier Rey, Jerry Lewis, Juana Acosta, Leonardo DiCaprio, Marta Hazas, Miriam Giovanelli, Paula Echevarria, Rachel McAdams, Sammy Davis Jr.
Movies: Beauty And The Beast, Dorian Gray, The Edge Of Seventeen, Titanic, TOC TOC. Television: Being Erica, Better Call Saul, Breaking Bad, Chicago Fire, Cable Girls, Gilmore Girls, Maniac The Thick Of It, Velvet. 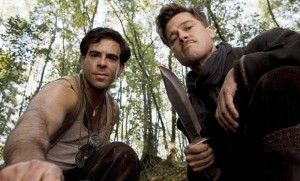 Here is a LIST of my favorite movies set during World War II Great Britain. I wrote this ARTICLE about Marvel Cinematic Universe (MCU) character Peggy Carter's career with the Scientific Strategic Reserve (SSR) during the 1940s. 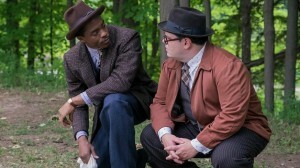 I wrote this REVIEW of "MARSHALL", the 2017 biopic about an early legal case in the career of Supreme Court Justice, Thurgood Marshall. Directed by Reginald Hudlin, the movie stars Chadwick Boseman. Here is a GALLERY featuring images from "MARSHALL", the 2017 biopic about an early legal case in the career of Supreme Court Justice, Thurgood Marshall. Directed by Reginald Hudlin, the movie stars Chadwick Boseman. 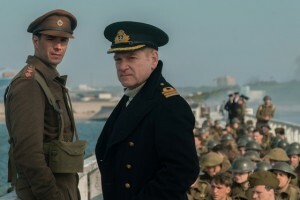 I wrote this REVIEW of the new World War II movie, "DUNKIRK". Written and directed by Christopher Nolan, the movie stars Fionn Whitehead, Tom Hardy and Mark Rylance. 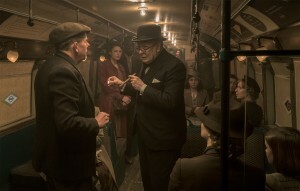 Here is a GALLERY featuring images from the new World War II drama, "DUNKIRK". 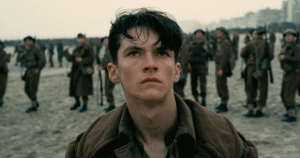 Written and directed by Christopher Nolan, the movie stars Fionn Whitehead, Tom Hardy and Mark Rylance. Here is a LIST of my five favorite episodes from Season One of "MANHATTAN". Created by Sam Shaw, the series starred John Benjamin Hickey. Here is a LIST of my five favorite episodes from Season Two of ABC's "AGENT CARTER". Below is a list of my five favorite episodes from ABC's "AGENT CARTER". Created by Christopher Markus and Stephen McFeely, the series starred Hayley Atwell as Agent Margaret "Peggy" Carter. 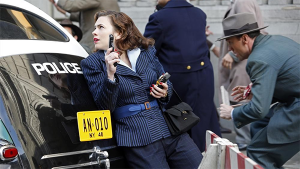 Here is a GALLERY of images from Season Two of ABC's "AGENT CARTER". Created by Christopher Markus and Stephen McFeely, the series starred Hayley Atwell as Agent Peggy Carter. 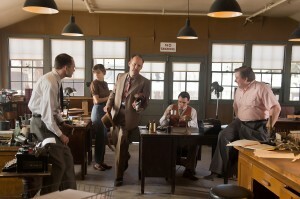 Here is a GALLERY featuring images from Season One of the WGN series, "MANHATTAN". 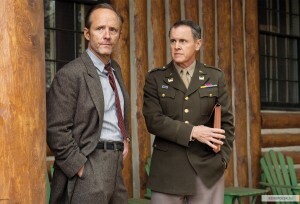 Created by Sam Shaw, the series starred John Benjamin Hickey. I wrote this REVIEW of the 1992 neo-noir film, "THE PUBLIC EYE". Directed by Howard Franklin, the movie starred Joe Pesci and Barbara Hershey. Here is a GALLERY featuring images from the 1992 neo-noir film, "THE PUBLIC EYE". 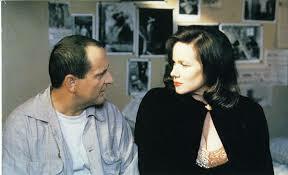 Directed by Howard Franklin, the movie starred Joe Pesci and Barbara Hershey. 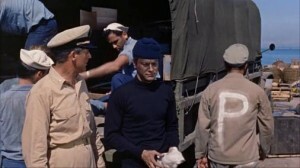 I wrote this REVIEW of the 1959 World War II comedy, "OPERATION PETTICOAT". Directed by Blake Edwards, the movie starred Cary Grant and Tony Curtis. I wrote this ARTICLE about the romantic situations featured in Season Two of ABC's "AGENT CARTER". Created by Christopher Markus and Stephen McFeely, the series stars Hayley Atwell as Agent Margaret "Peggy" Carter. Here is a LIST of my favorite films set during the 1940s.